Fatau Dauda, Jonathan Mensah, John Boye, Jeff Schlupp, Mohammed Rabiu, André Ayew (vice-captain), Edwin Gyimah, David Accam, Majeed Waris, Jordan Ayew. Siyabonga Mpontshane (GK), Siyabonga Nhlapo, Luvolwethu Mpeta, Anele Ngcongca, Oupa Manyisa, Ntsikelelo Nyauza (DF), Andile Jali, Themba Zwane (MF), Kermit Erasmus, Lehlohonolo Majoro, Bongani Ndulula (FW). African giant Ghana lost 4 games with South Africa and won 2 matches in their 9 games and 3 other was drawn. At the first match between South Africa VS Ghana was held on 1994 and South Africa defeat Ghana by 2-1 goals in a South African Tournaments. Ghana was searching their first win over South Africa since 2004 at World Cup Qualification match. 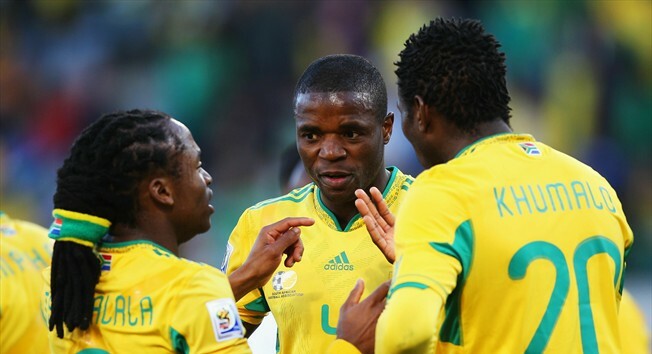 In this match South Africa defeated by Ghana by 3-0 goals and this is the biggest win for Ghana over South Africa. At the last match between these two teams, Ghana lost again after 2000 in a friendly by 1-0 goals on 2010. In this total 9 matches both teams scored 15 goals together. And this is their 4th appearances in the AFCON 1996, 2000 and 2002. South Africa is playing their 9th appearances in this AFCON. They are the champions of the 1996 tournaments and that was their 1st appearances in the AFCON. South Africa Football team was band from any kind of football tournaments from 1959 to 1992. At 1994 they have change to play at the AFCON final stage. But in the very next appearance in 1996 South Africa finished their tournaments becomes the champion of AFCON 1996. At the next tournaments they also played at the final but this time they lost 2-0 goals by Egypt. At 1998 South Africa played at the Sami-finals and finished from 3rd place by defeating Tunisia in penalty shootout. The 4 time AFCON champion Ghana is playing their 20th appearance, which is the most by any team of this tournament. From 2008 Ghana is playing all AFCON tournaments Sami-final. But only at 2010 Ghana had played at the finals and finished from second place. This was their fourth runners-up title at the AFCON.